Five artists, five statements. Together, they open up a pan-European topography, spanning an arc from abstract perspectives to concrete encounterings. An expressive and inspiring dialogue between sensual perception and expression, between colour and form. A dialogue with the intention to transfer its pictorial silence, and stimulate the senses of everyone visiting the show. 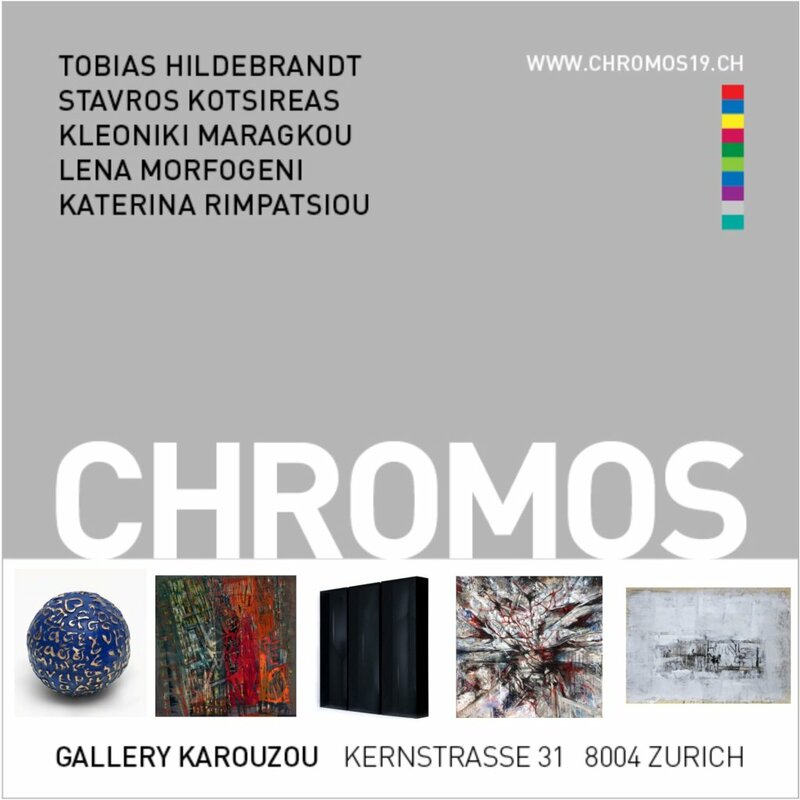 CHROMOS presents works from Austria, Great Britain, Greece, and Switzerland – photography, painting, sculpture.